Garden activity is very fun activity for children. So why you not support them by wood giant chess set. Let your children explore their imaginative and learn to solve a problem by give them chess game. Furthermore, chess is the powerful educational tools to explore the children's mind. It's easy for children to learn something new such as chess game. You just teach them the basic rule and the role of each chess pieces. To support it, you should have chess pieces set and chess board. We have those for you. Our product has made from best quality of Teak wood and polished well. 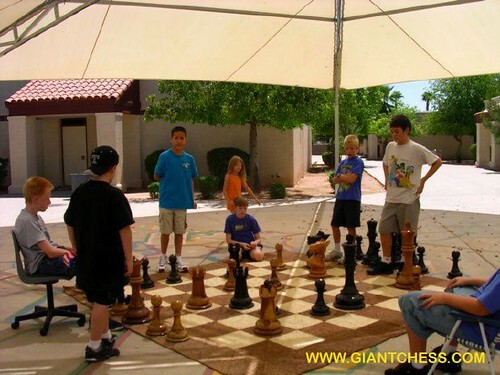 Those chess equipment are very durable and easy to move. Perfect for outdoor game. Let's having fun at garden or another outdoor area with children.